Constance Ellen Neve was godmother to Molly Evans. She was almost certainly a good friend of Florence Evans. She married Walter Loveridge in 1884 but was widowed after only three years of marriage. She was the mother of Amy Constance Loveridge (b 1886). 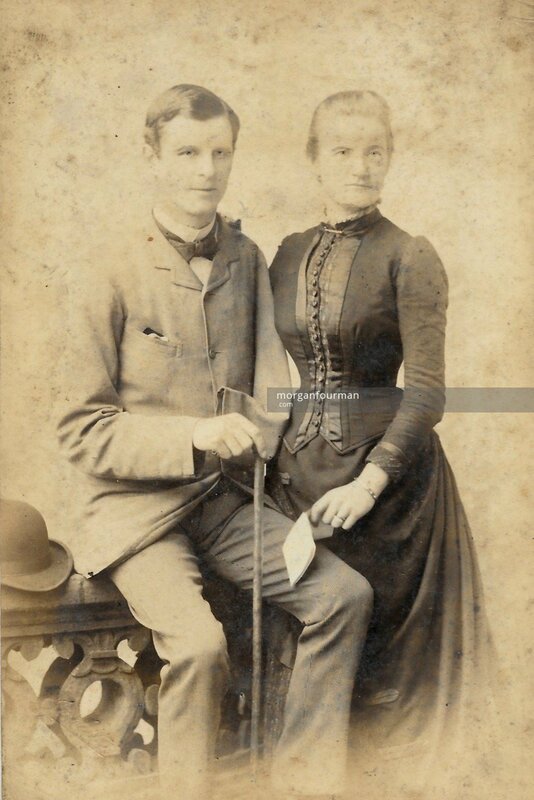 Mrs Walter Loveridge attended the wedding of Henry and Florence Evans in 1889. 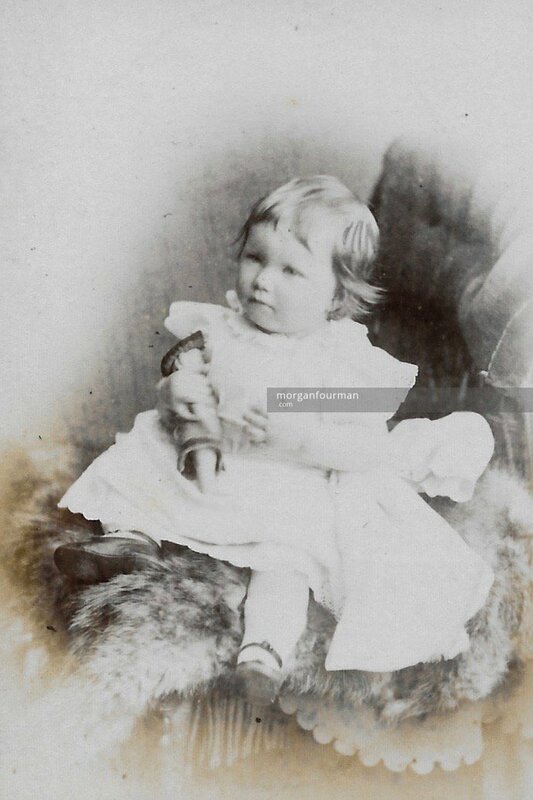 It is likely she is the inspiration for the first ‘given’ name of Molly whose full names were “Constance Mary Shaw-Hellier Evans”. In Molly’s war time diaries she frequently talks about her letters from Aunt Constance. 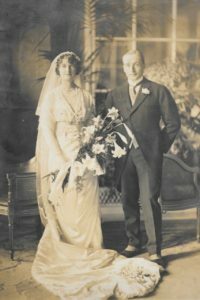 Amy Loveridge went on to marry Lieut Tom Fisher (RN) on 15 Jun 1912. The attached pictures have survived in our archive. Sir Tom Fisher died on 21 Feb 1925 and Amy remarried Sir Geoffrey Hithersay Shakespeare in 1926. Amy, Lady Fisher later Lady Shakespeare, was the Godmother of Molly’s eldest daughter, Pamela Downing, who was christened on 17 Aug 1920. It would appear that Constance Loveridge died on 11 Apr 1951, aged 89. Her daughter Amy Shakespeare predeceased her on 14 Feb 1950, aged 63.